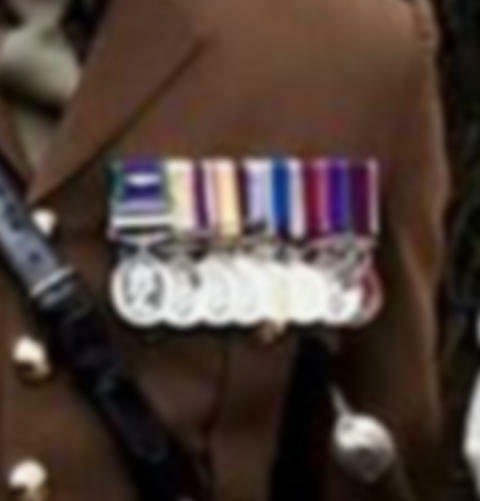 We’re appealing for information after military medals were stolen from a house in Aldershot. Officers were called following the burglary in Gallwey Road, Aldershot, sometime between 6pm on July 19 and 8.20pm on July 25. A number of items were stolen, including military medals representing the victim’s 40 years in the armed forces. The medals taken included a Kuwait Medal with a bar and an Afghanistan medal. A distinctive three inch folding knife with a brown wooden handler, that has “Iraqi Freedom” on it, was also taken. PC Jade Rudd said: “These items obviously hold great sentimental value to the victim and his family and we are keen to speak to anyone who might have come across similar items recently. “We have issued a photograph of the medals, which we know is small, but we hope it will help give people an idea of what they look like.